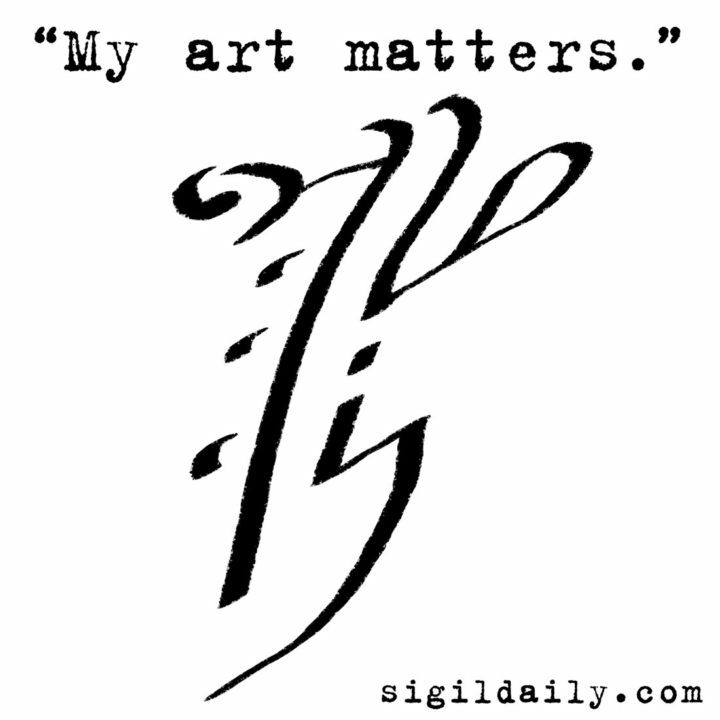 It shouldn’t be too surprising that an art-focused project like Sigil Daily gets more than a few requests from artists. While we always encourage artists to create their own sigils, some of them just prefer the look and feel of a Sigil Daily original. This sigil goes out to all those wonderful artists. Not just visual artists, but anyone who imbues their work with creativity, heart and soul. All art matters, even if the process of creating it can be frustrating, painful and costly in every imaginable sense. Keep it up.